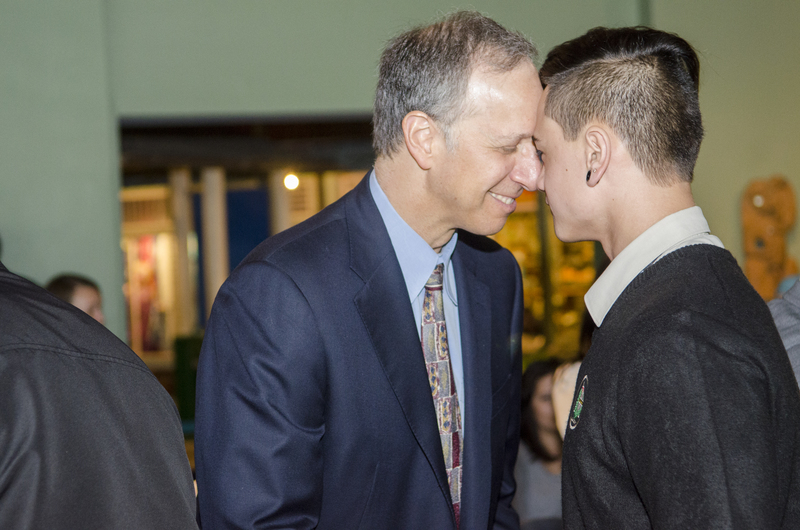 Our OPRF superintendent Steven Isoye and one of my senior students give a welcome speech on behalf of Oak Park and River Forest High School. 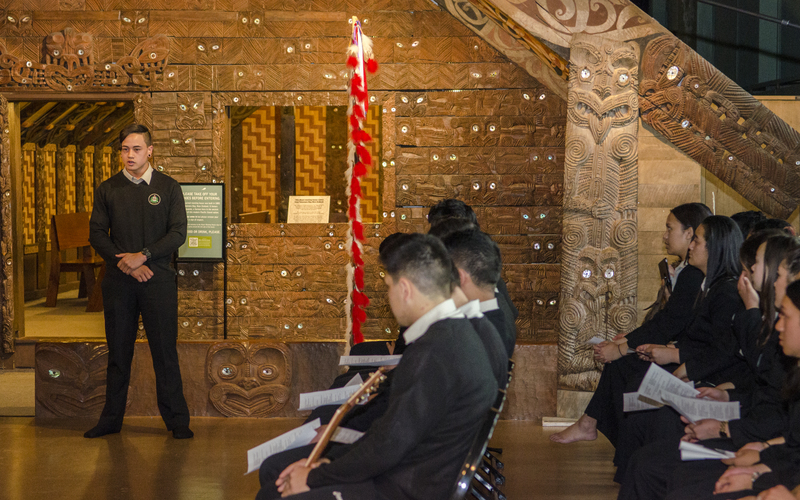 A student from Te Kāpehu Whetū speaks. 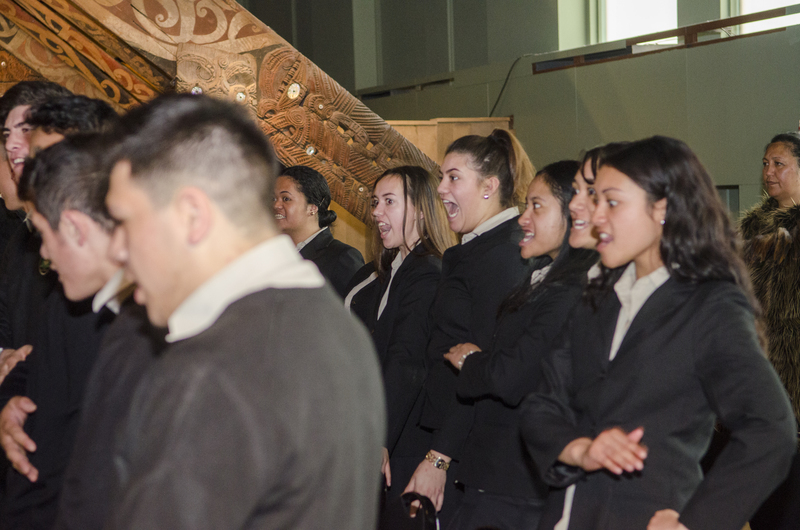 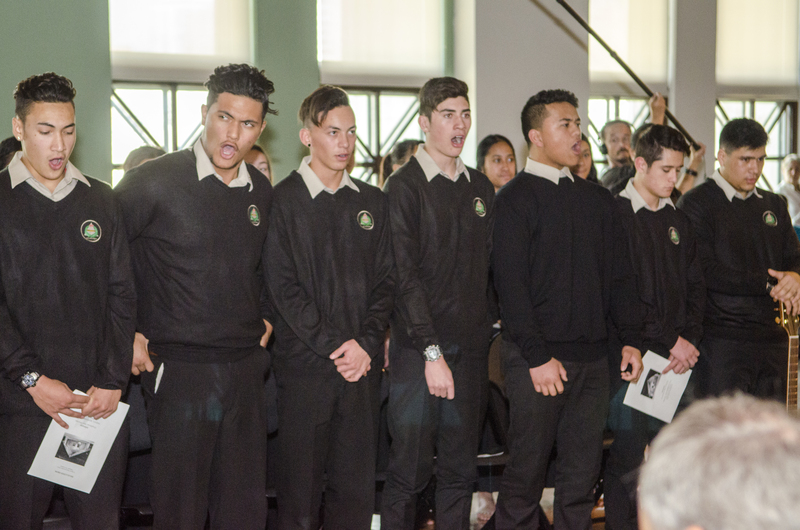 Te Kāpehu Whetū sing their first waiata. 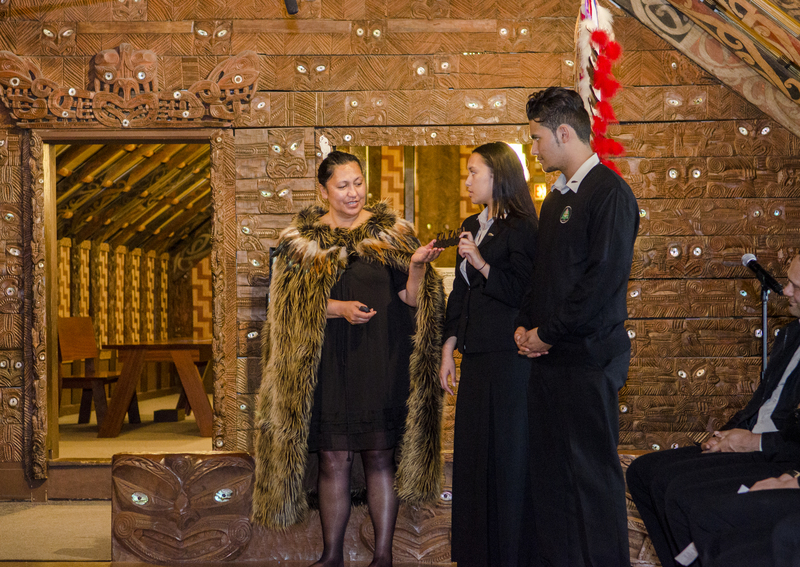 Another waita from the kura, or school. 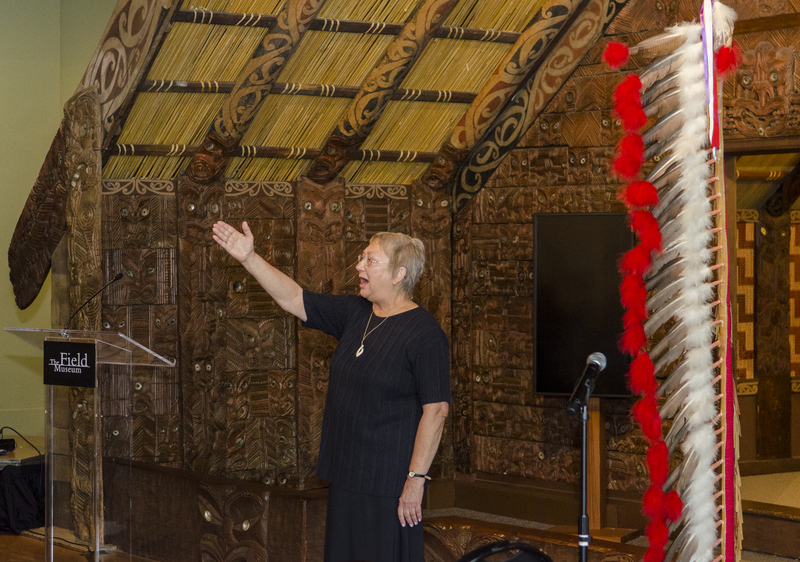 Marianne Craven, Acting Deputy Assistant Secretary for Academic Programs, flew in from D.C. to represent the US State Department, and broke the way for the women to speak. 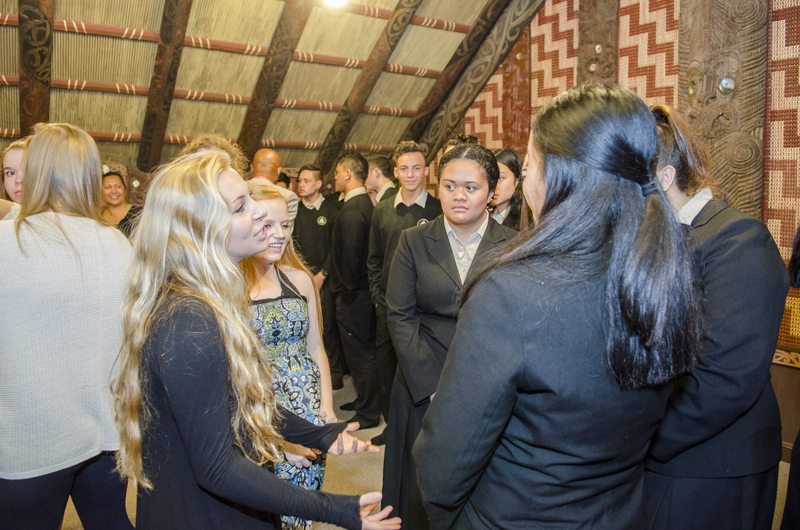 She spoke about the importance of global exchanges and building cross-cultural community. 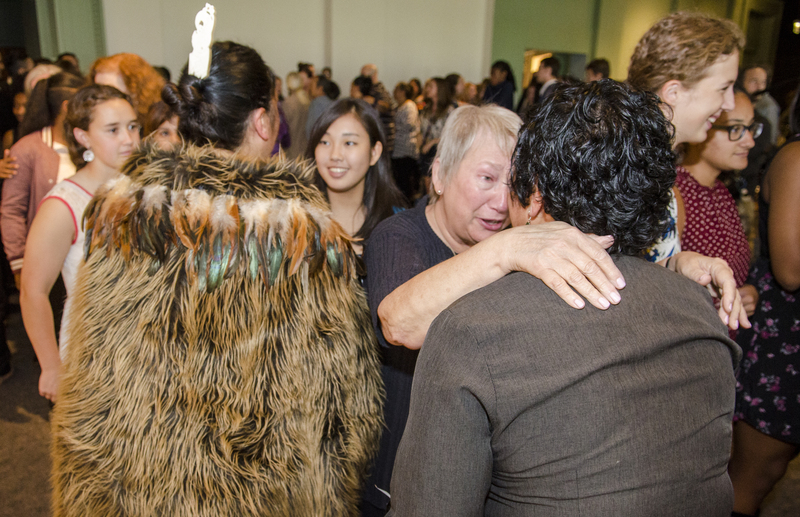 Ms. Craven also spoke some of the nicest words about my Fulbright research in her speech, and for those words I am so grateful. 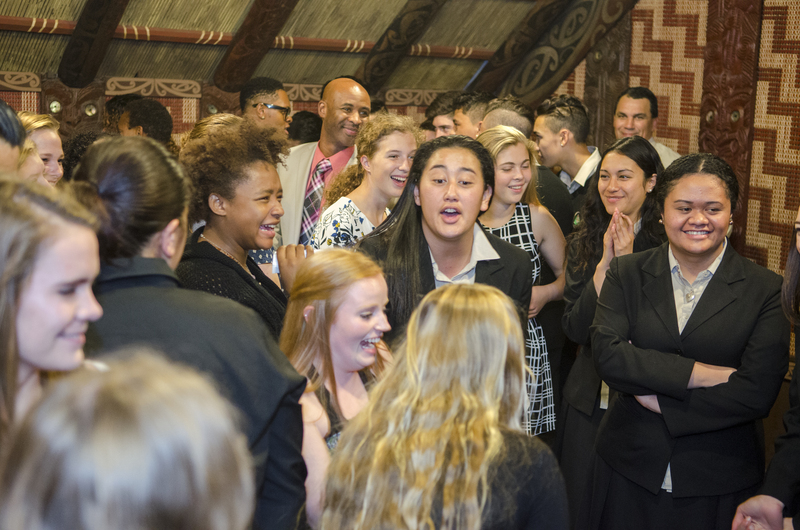 This experience is in many ways what a Fulbright is all about. 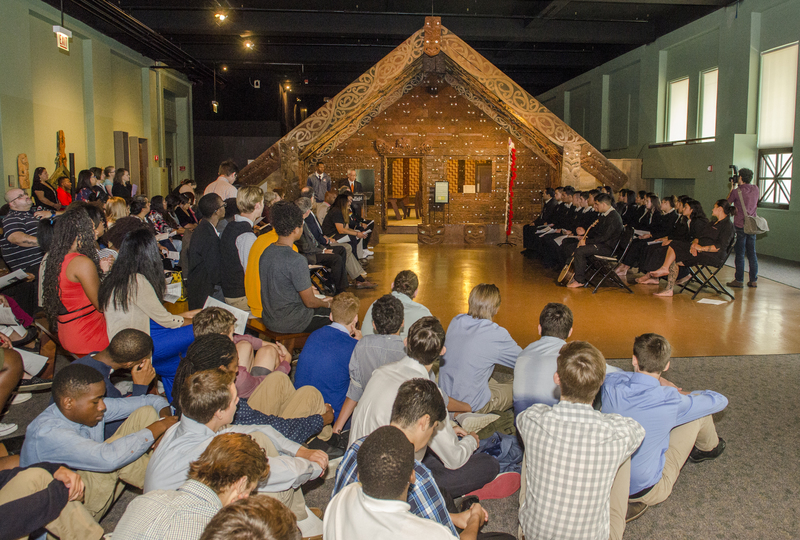 Te Kāpehu Whetū presents koha, or gifts. 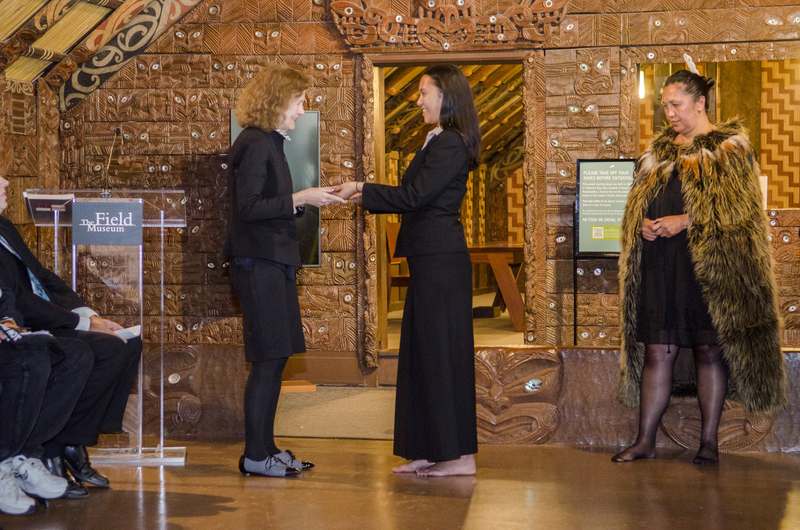 …which was presented to Ms. Craven from the State Department. 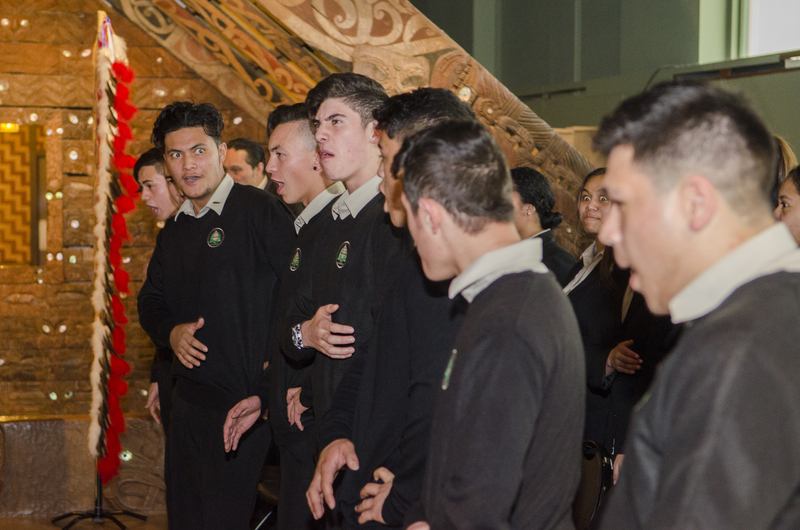 The kura gives a haka, or a traditional war chant that can express deep gratitude. 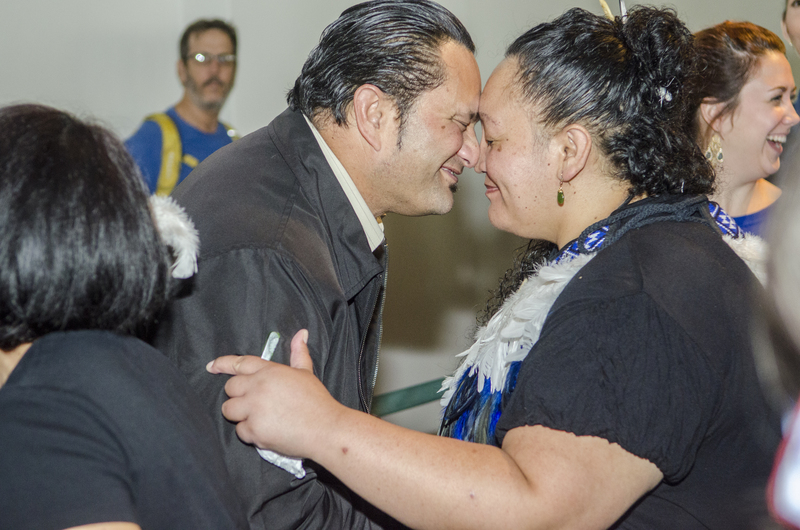 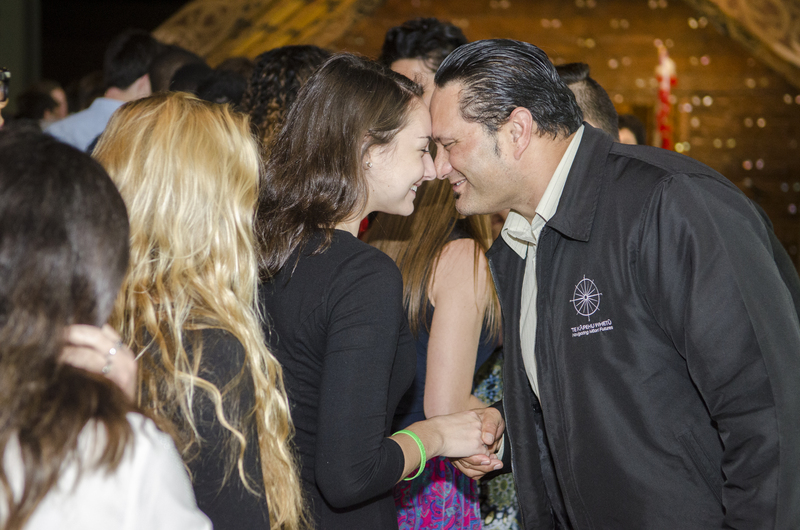 The manuhiri, or guests, are invited to cross over and do hongi, or the pressing of noses. 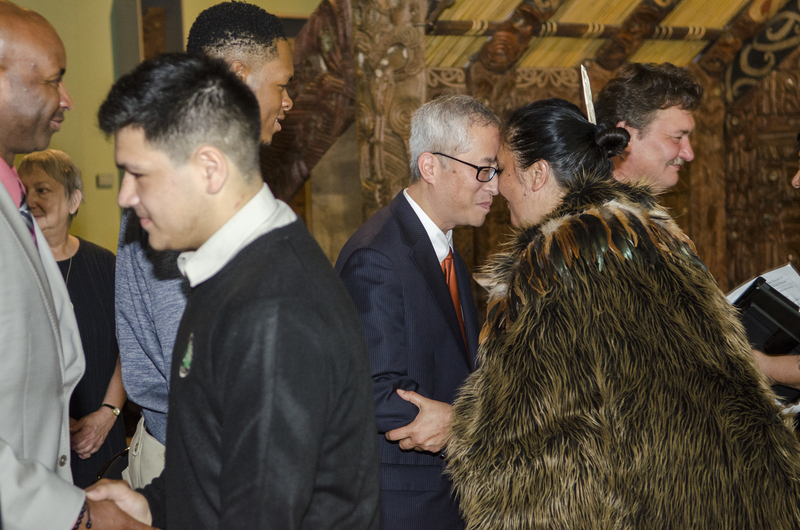 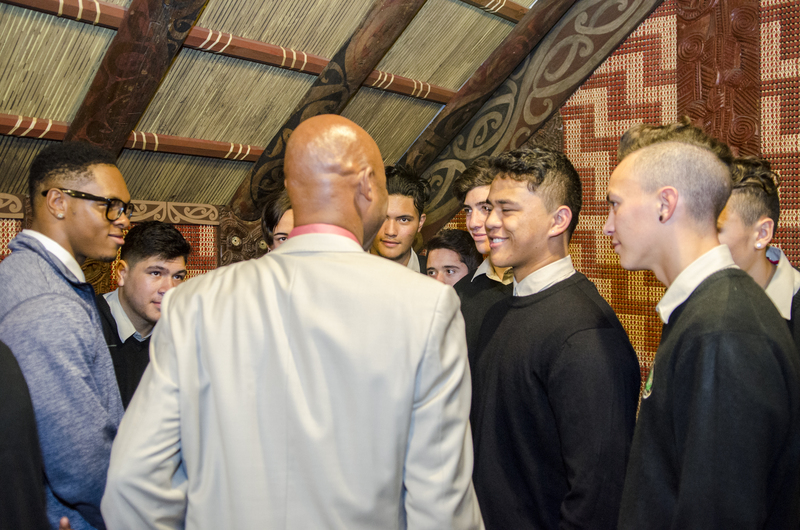 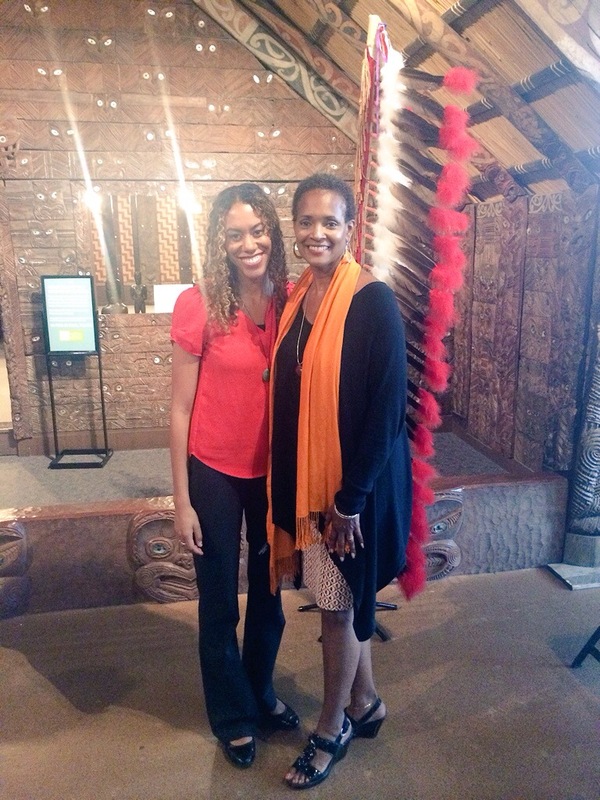 The CEO of Te Kāpehu Whetū with the Superintendent of Oak Park and River Forest High School hongi. 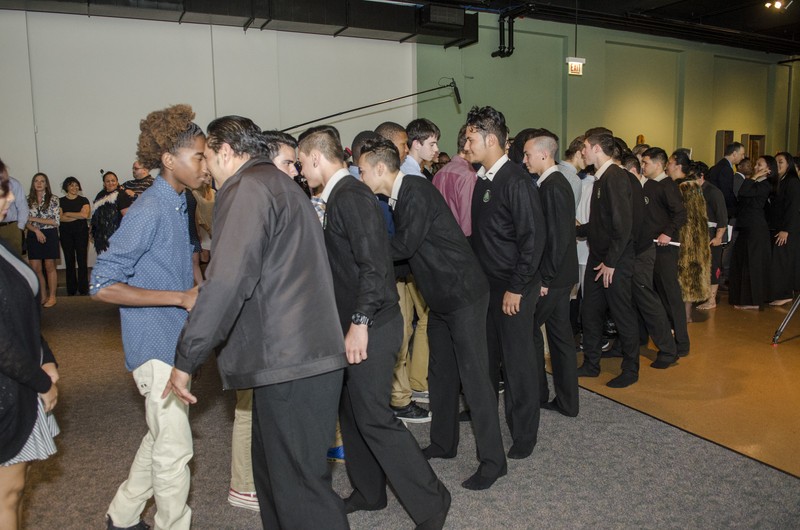 All 80 of my students got to go through this special part of the ceremony. 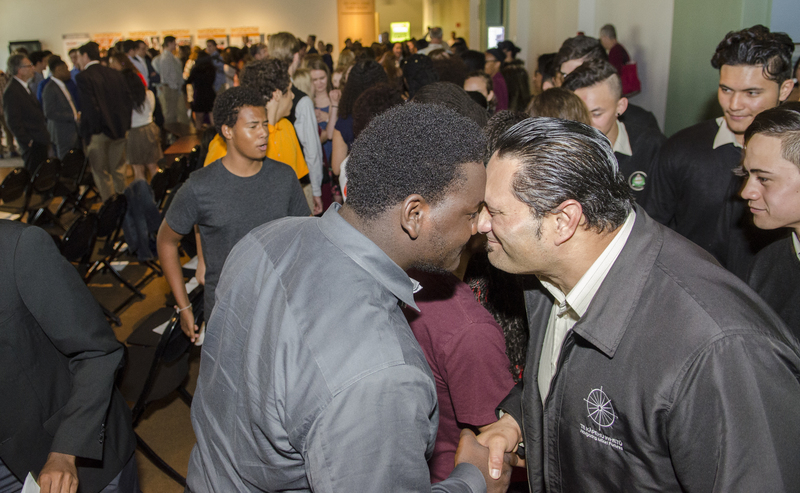 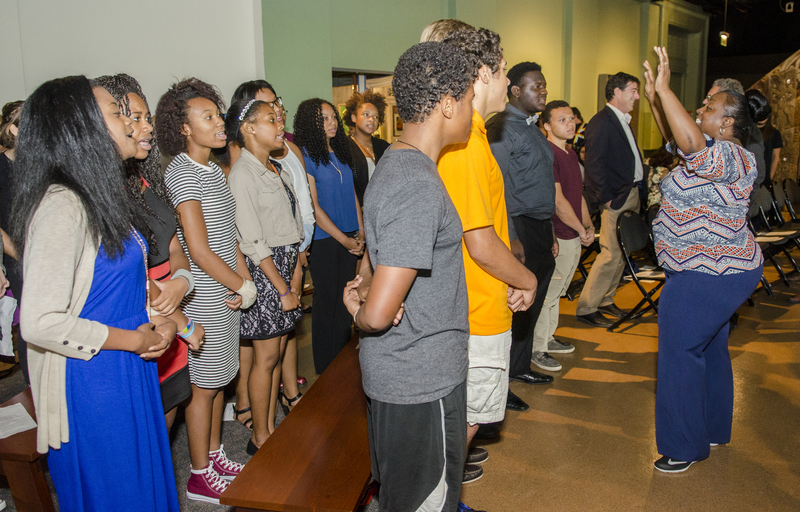 The energy in the room was inspiring and beautiful as young people from 8,000 miles come together to share breaths. 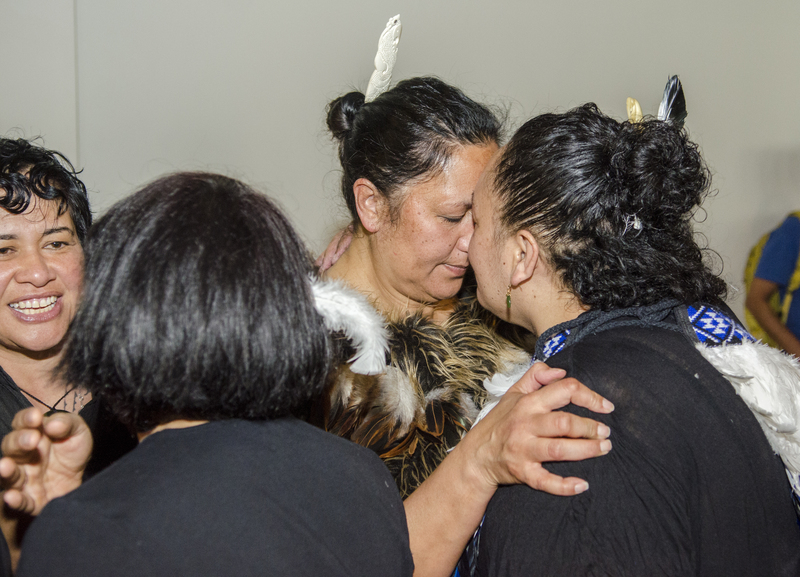 There was so much aroha, or love, in the room. 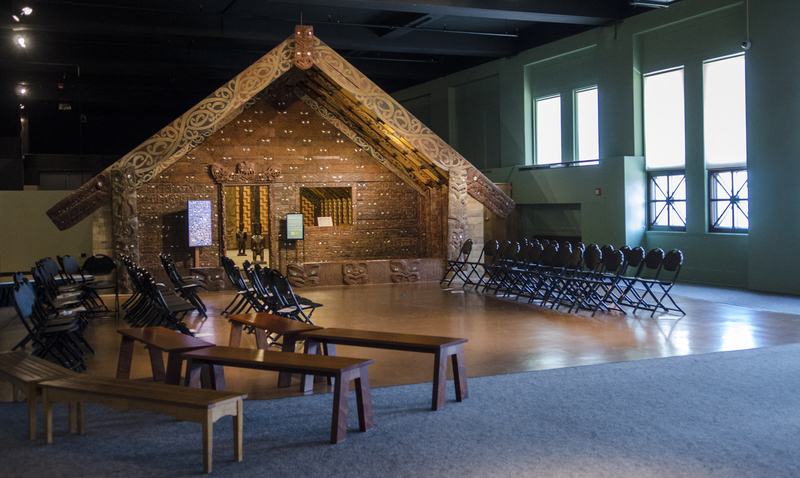 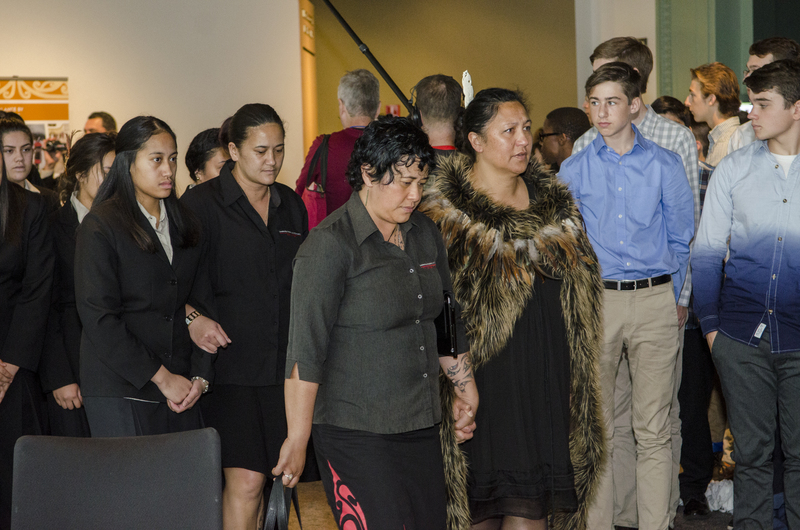 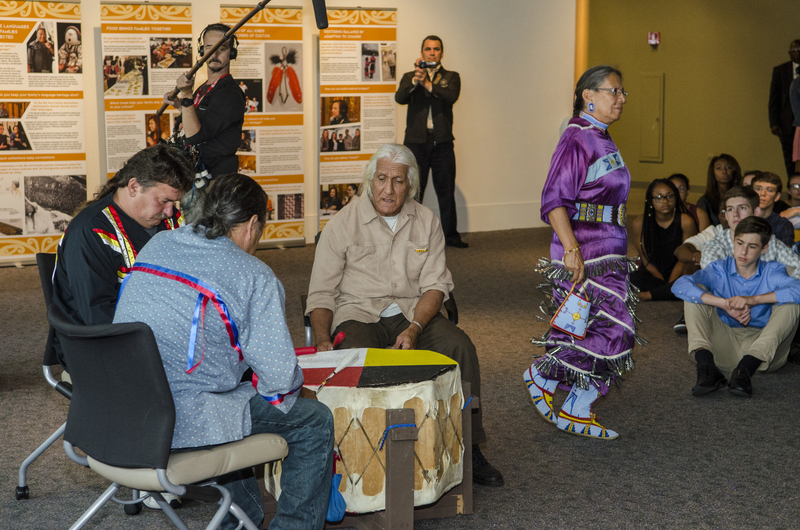 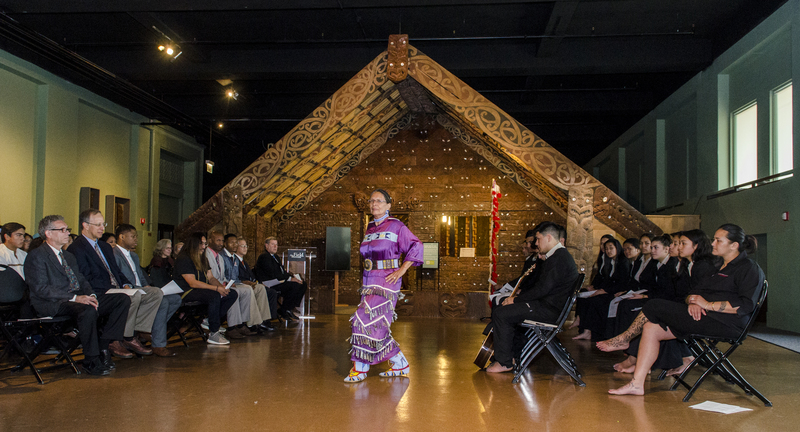 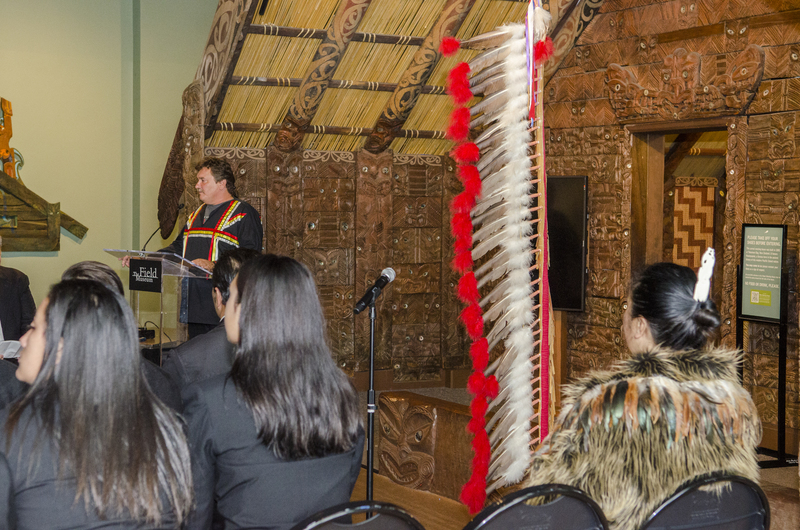 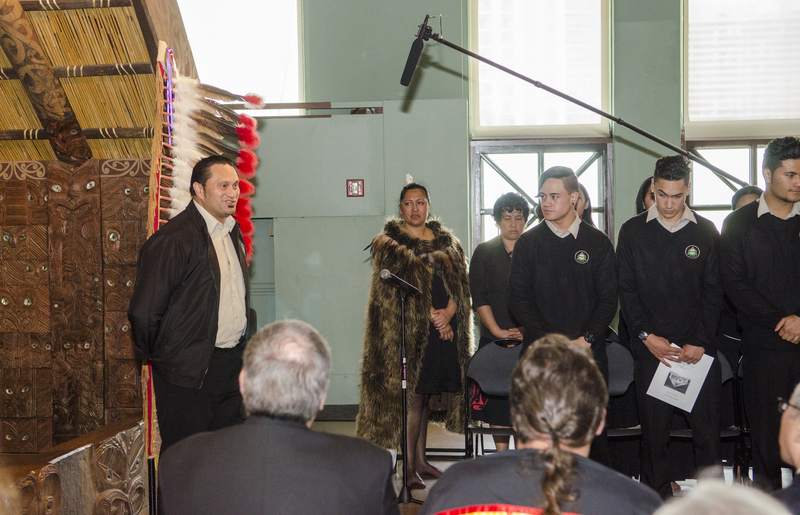 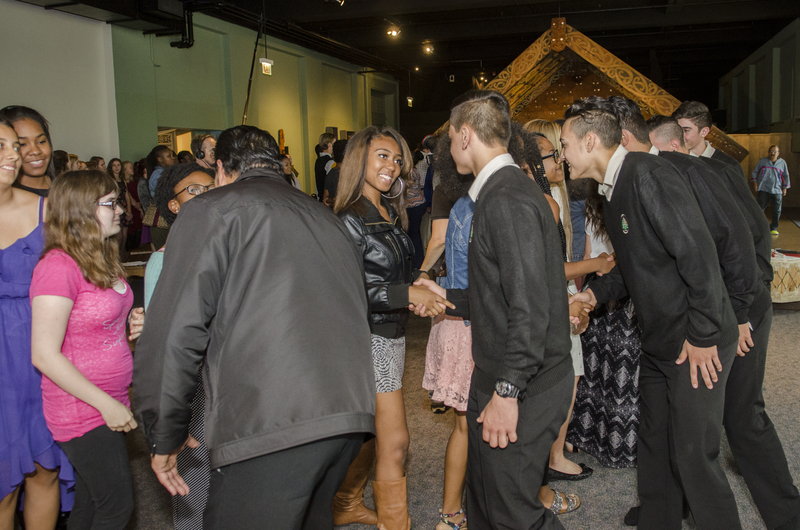 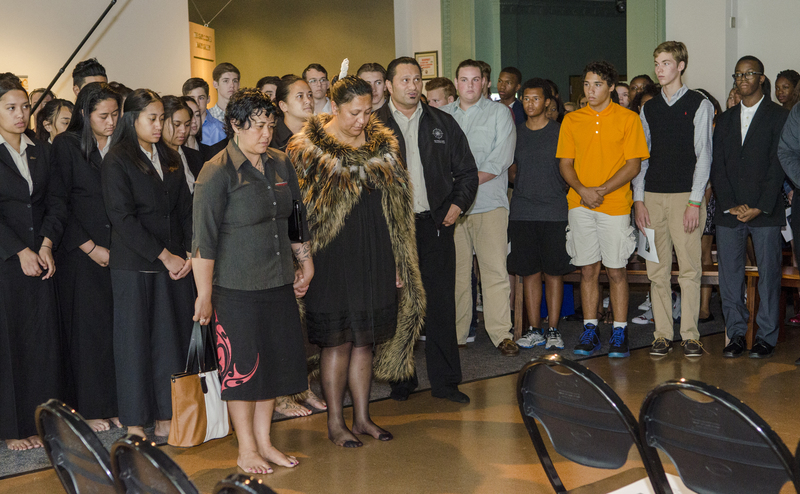 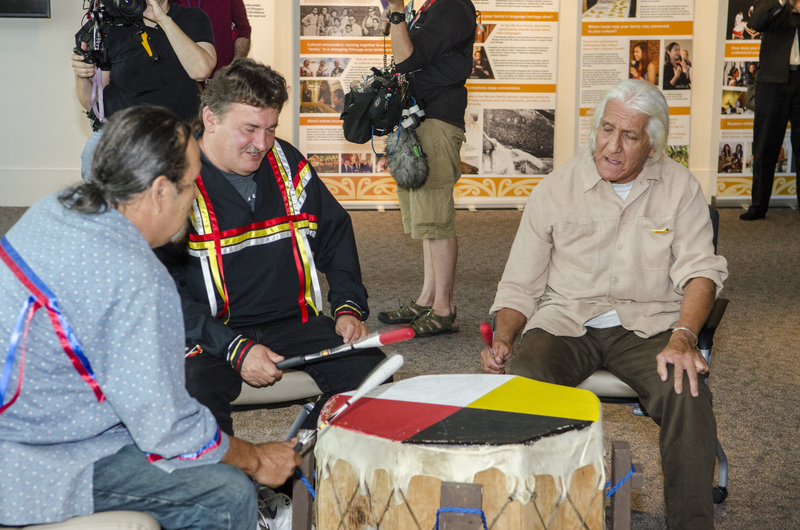 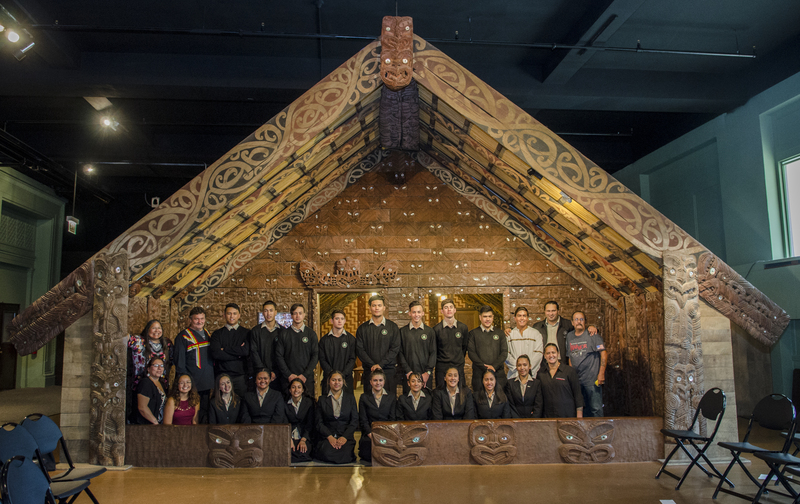 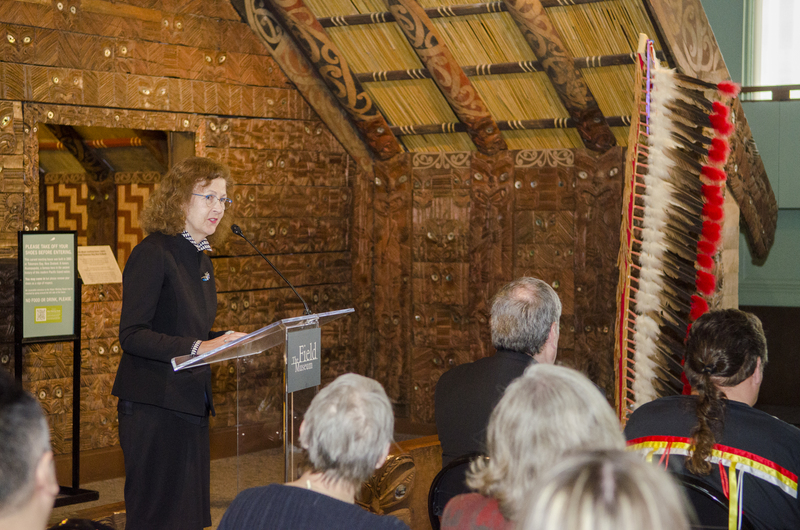 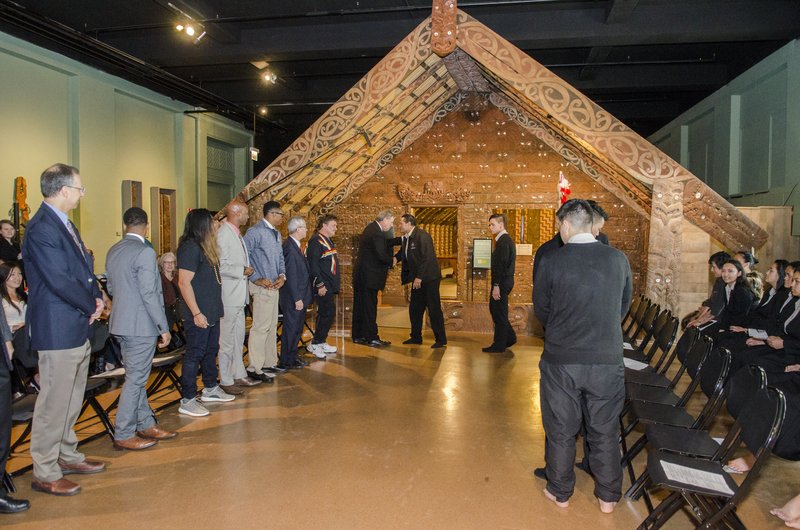 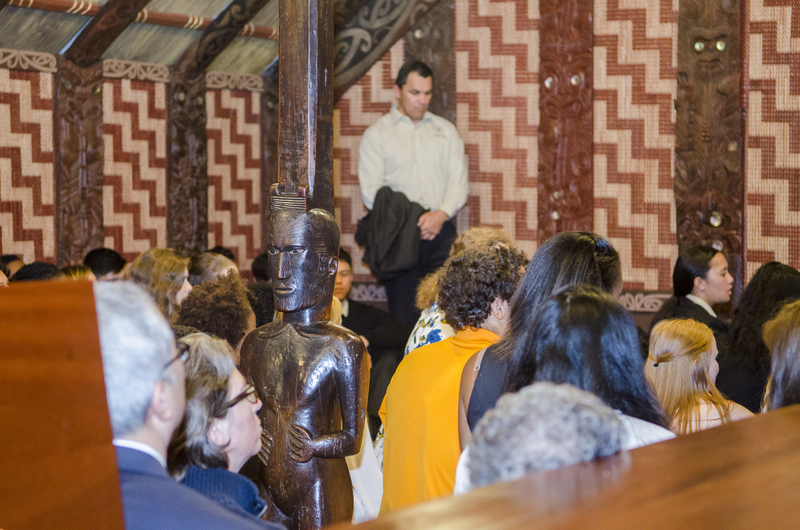 Members from the Māori community who live in Chicago were also invited to this ceremony. 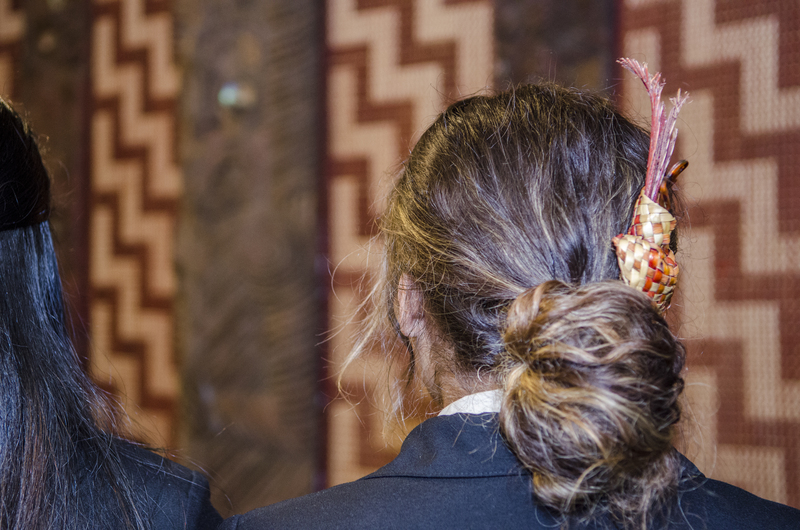 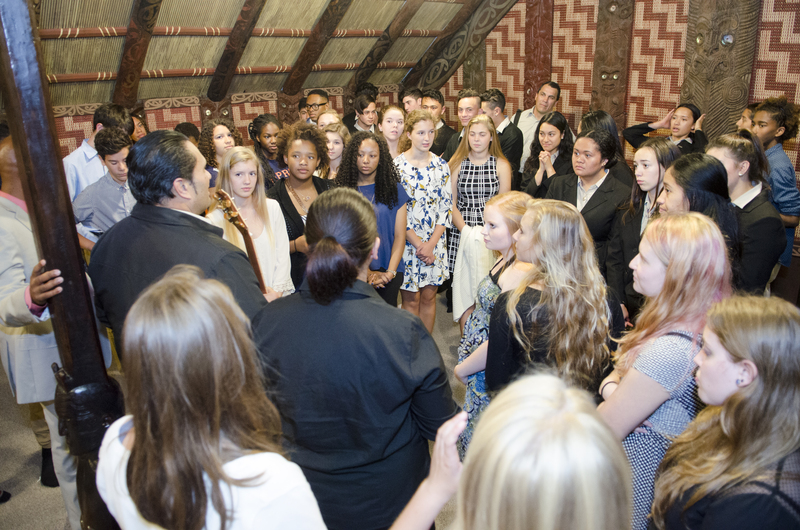 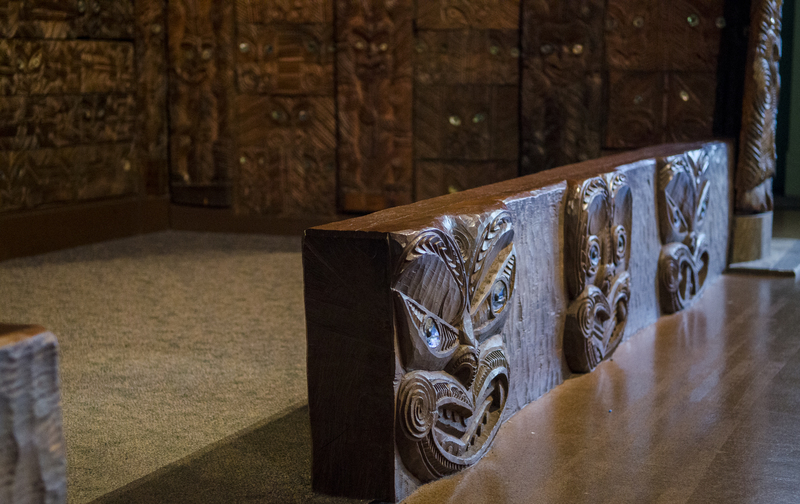 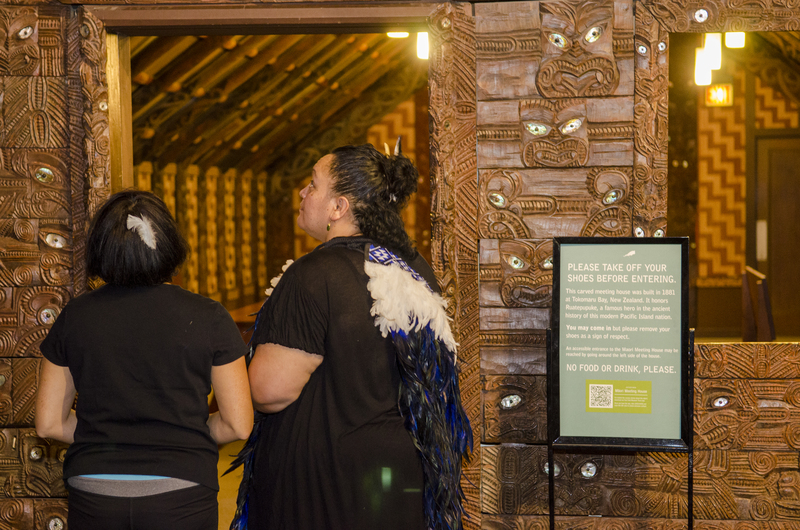 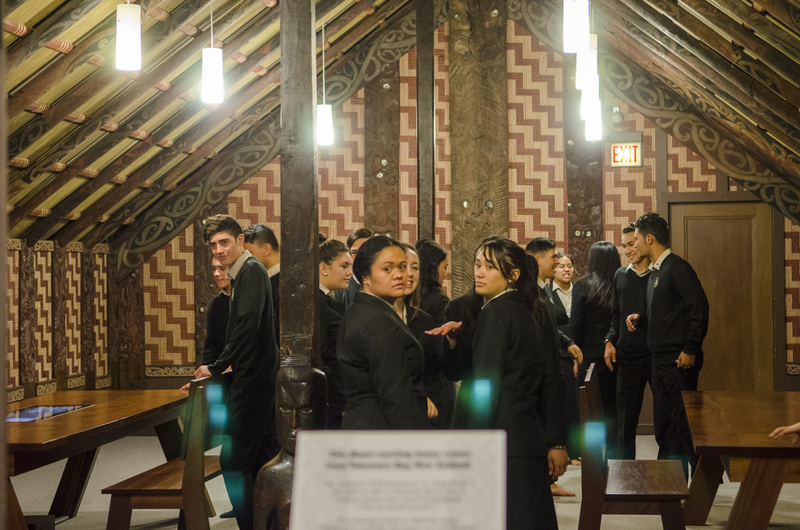 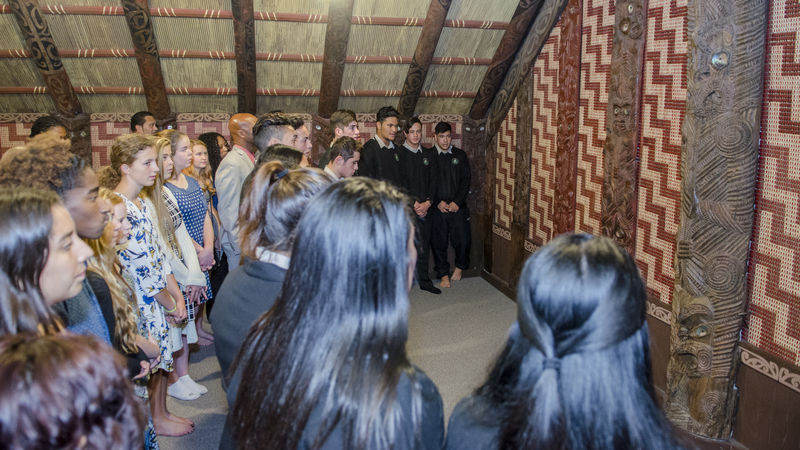 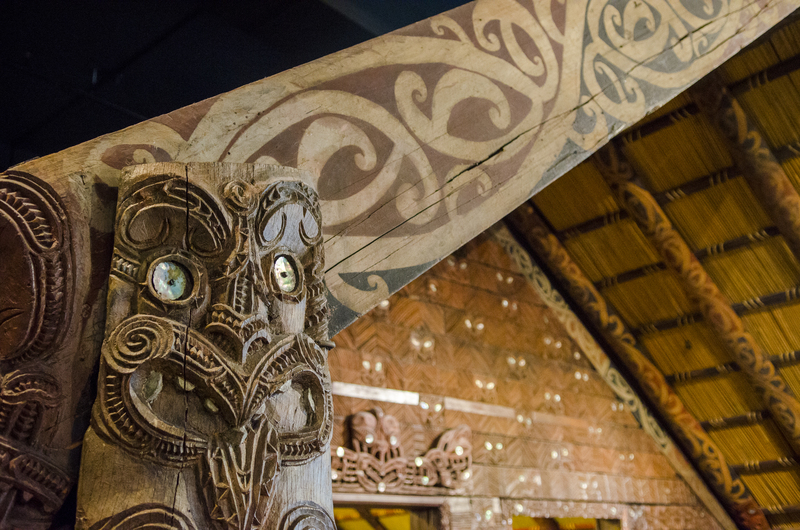 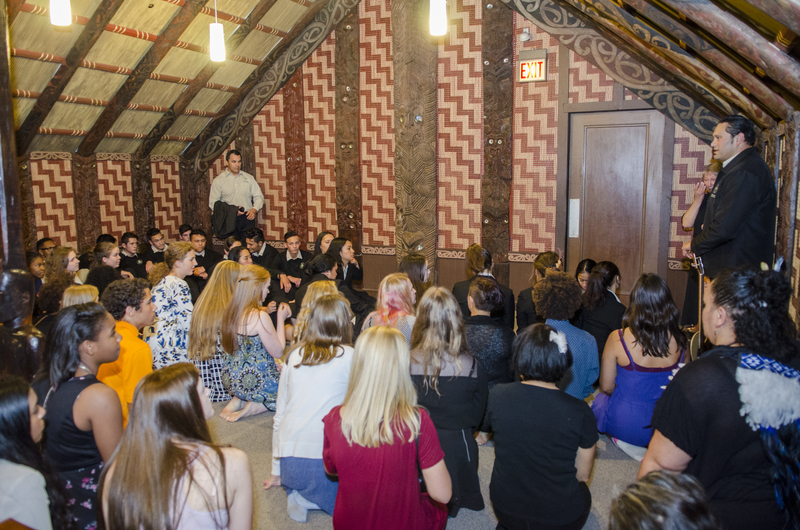 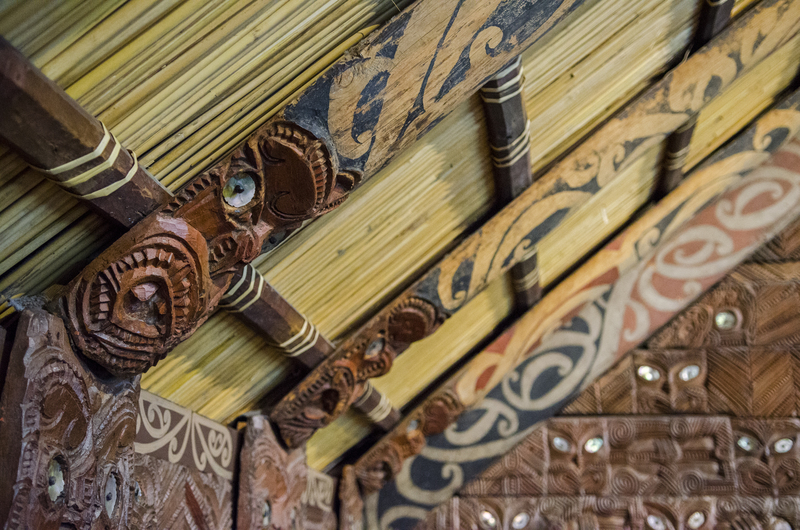 After the hongi, kisses, and hugs, we all remove our shoes and enter the marae for karakia, or incantations or prayers for spiritual guidance. 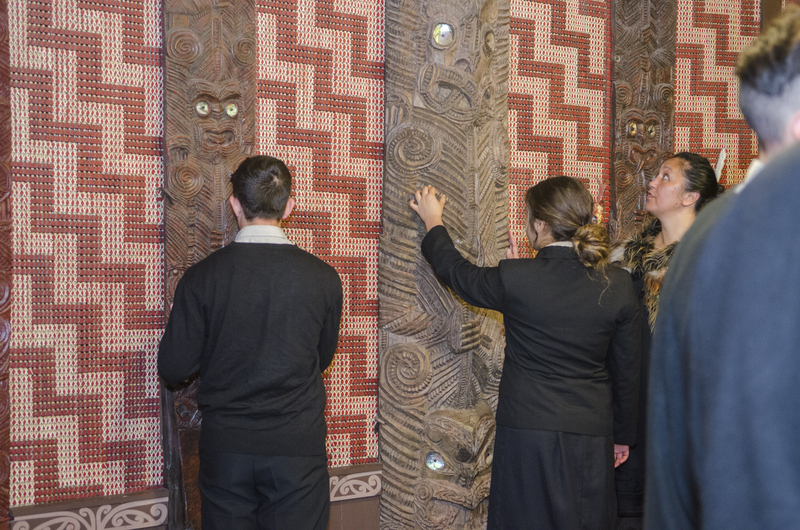 Paying respects to the ancestors who are represented in the carvings. 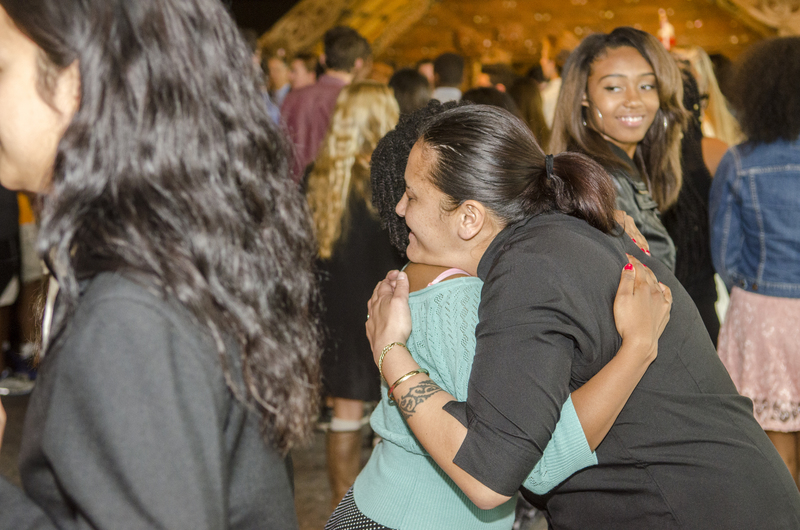 Students begin to form bonds that will last lifetimes. 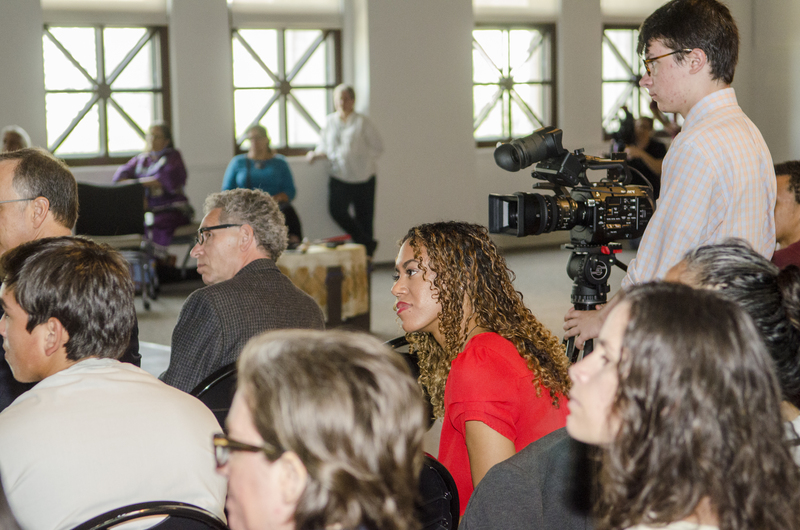 Illinois State Representative Camille Lilly attended on behalf of the great state of Illinois. 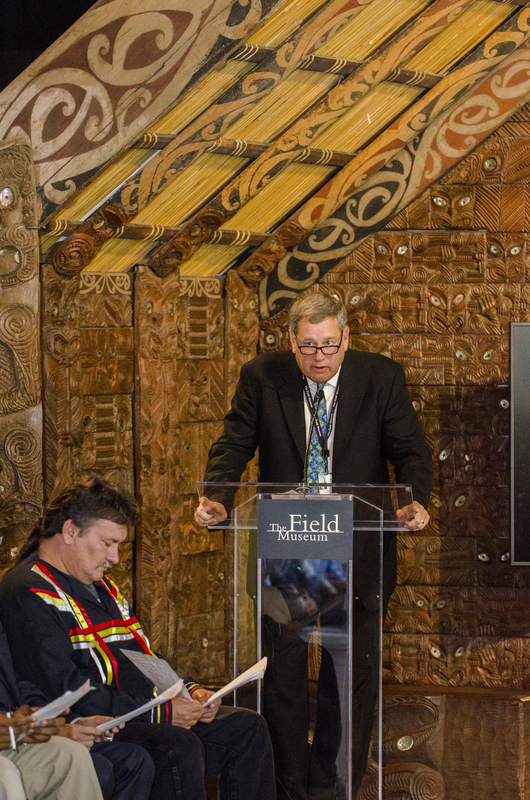 Senator Durbin also sent two representatives from his office. 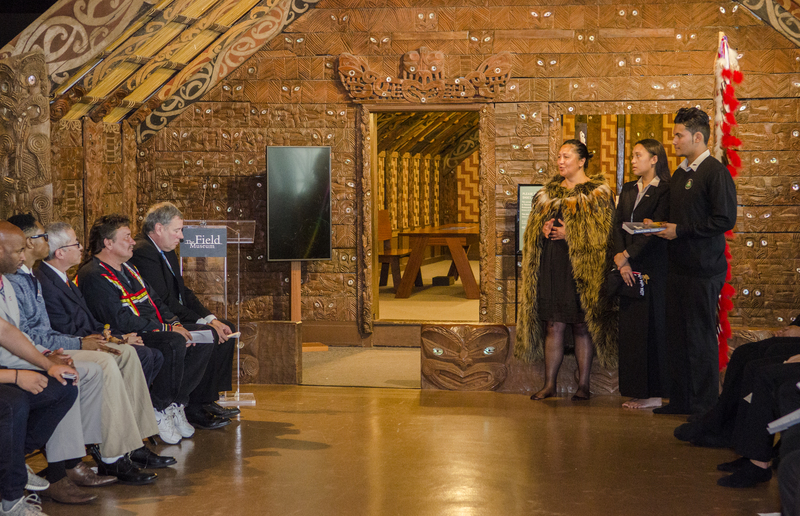 The ceremony officially ends with kai, or food. 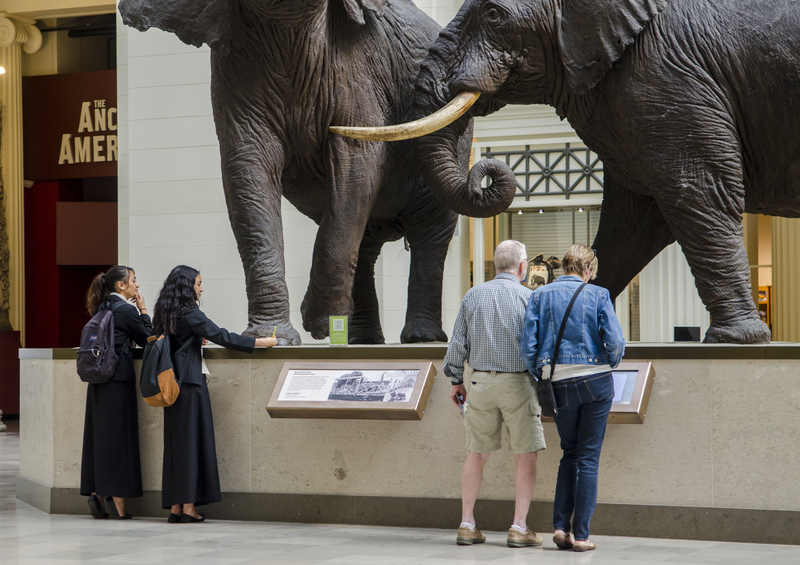 After breaking bread together, the students go to explore the world renowned Field Museum. 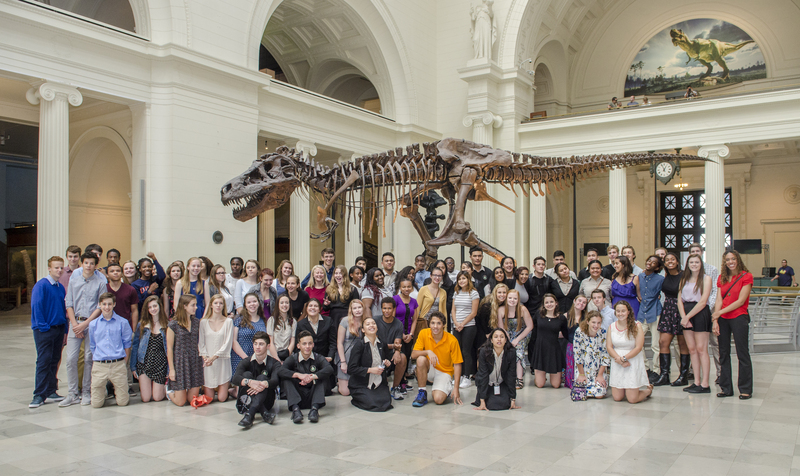 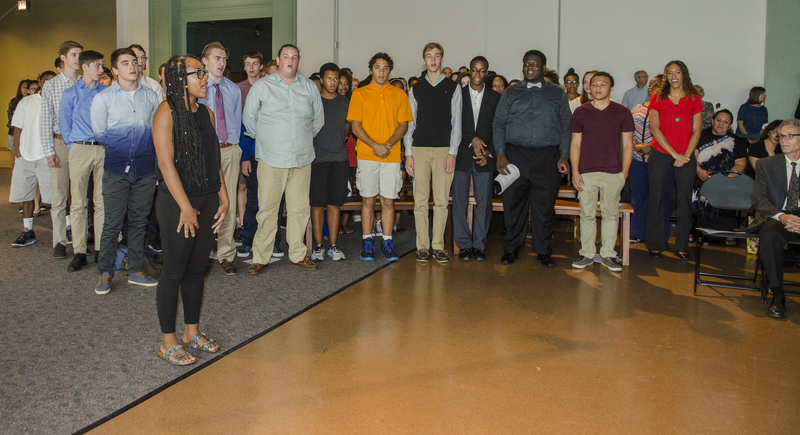 All of the students together in front of Sue! 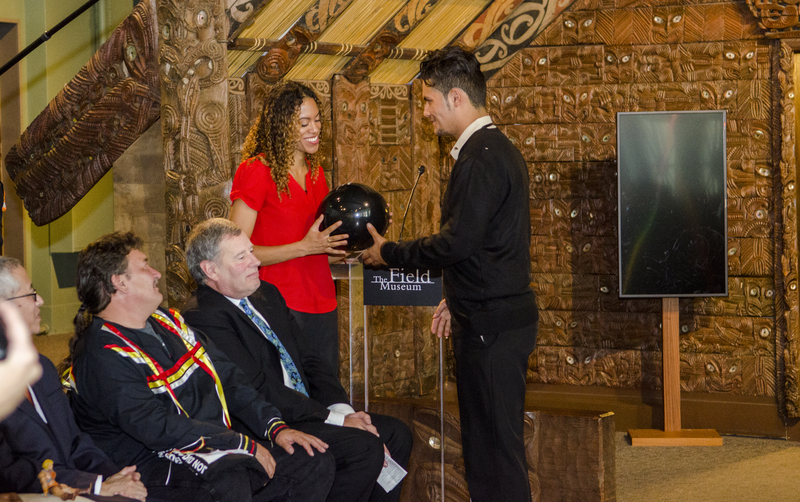 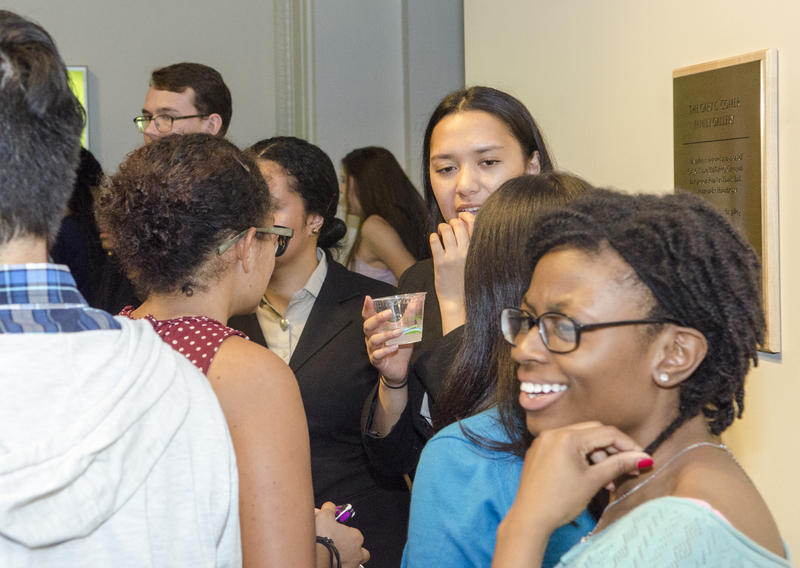 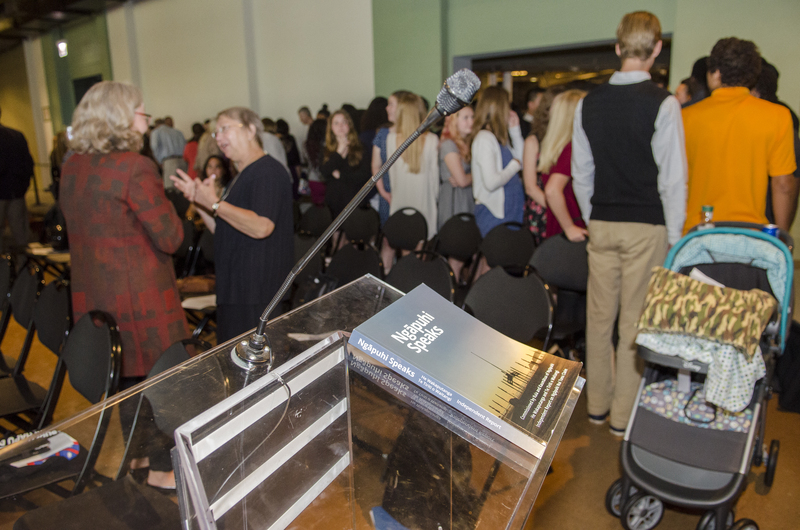 Looks like an incredible way to continue the inspiring work of your Fulbright!